If you want to be one of the best at multiplayer games you’re going to need a high-quality headset. This will allow you to communicate with your team better and may actually give you advance warning of where your opponents are. However, we know that these headsets can be expensive. That’s why we’ve created a list of the best gaming headsets under 100 dollars – these come with many of the benefits of high-end headsets while costing just a fraction of the price. A lot of people buy gaming headsets based on their appearance, but there are actually several other factors you should consider before committing to one. Let’s address a few of these now. Most headsets will list their frequency response somewhere on the packing, but it’s not always clear what this means. Essentially, the frequency response refers to the range of sounds that the headset can accurately reproduce without distortion. So what is a good response? Well, 20Hz – 20kHz is fairly standard and is the range of hearing for most people. 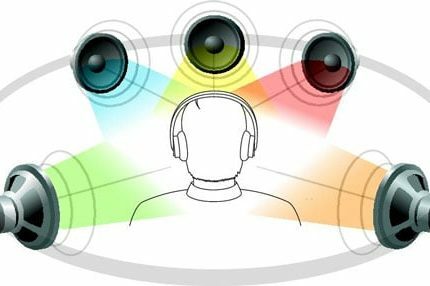 This means that larger responses may not actually sound any better – this depends entirely on the user, sound profile, and headset components. Frequency response is usually given either as two numbers (e.g. 20Hz – 20kHz) or in graph form. The image above shows a very balanced frequency response that doesn’t prioritize bass or treble – this response would be great for almost any purpose because it doesn’t have any significant shortcomings. When we talk about sound profiles, we’re referring to the way the headset makes music sound. For example, if the low frequencies are booming and drown out the mid and high ranges, we’d say that the sound profile is bass-heavy. Because people have different opinions about what sounds good, there’s no way to tell a product’s sound profile without actually using it. For this reason, if possible, you should aim to try out a headset before you spend money on it. 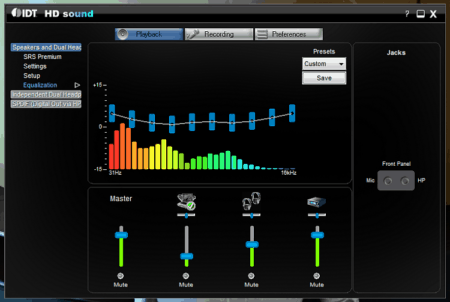 If you’re planning to use the headset on a PC, you can use software to boost certain elements of its sound profile. However, this is an artificial representation and will not provide the same level of quality as a headset with the profile you’re aiming to replicate. It’s important to note that a headset is an “all in one” peripheral. It offers convenience and a good balance between audio performance and microphone quality. That said, most headsets cannot compete with a combination of dedicated headphones and a standalone mic. Don’t get us wrong: they will do the job, but if you’re looking for the highest possible quality you might want to buy two separate devices. 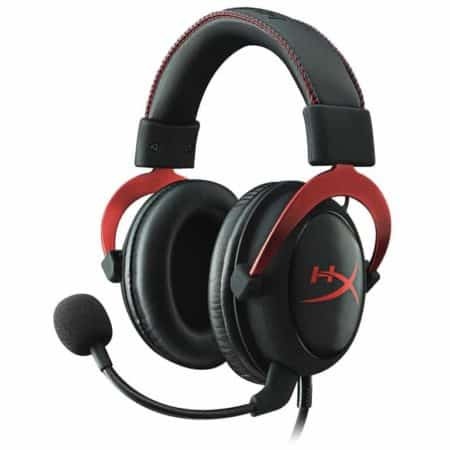 Our first category is devoted to the headsets that give you the most bang for your buck. After all, not everyone has the budget for the latest and greatest products, right?. Don’t worry though: each of the following headsets costs less than $40. First up we have the SADES Spirit Wolf. This is a well-constructed headset that prioritizes comfort and microphone quality above all else. The mic is grounded, so there’s no crackling as you adjust it, and the earcups are plush, comfortable, and breathable – great for extended gaming sessions. There’s also a small inline controller that allows you to mute the mic or adjust the game’s volume directly. It’s important to note that this headset is made for PC. It will still work on consoles, but the 7.1 virtual surround sound will not. You can relax, however, because we have a section for console headsets a little further down. Next, let’s take a look at the VersionTech G2000. Now, this is a product that works on any device with a 3.5mm headphones jack. This includes PC, consoles, and even cell phones. Its mic can be flipped up and out of the way when not in use, which is great. It features noise reduction technology which helps to isolate your voice from the sound in your environment. We really liked how resilient this headset is. It comes with a braided cable and robust plastic construction, so it’s less likely to be damaged by a fall (or angry outburst). 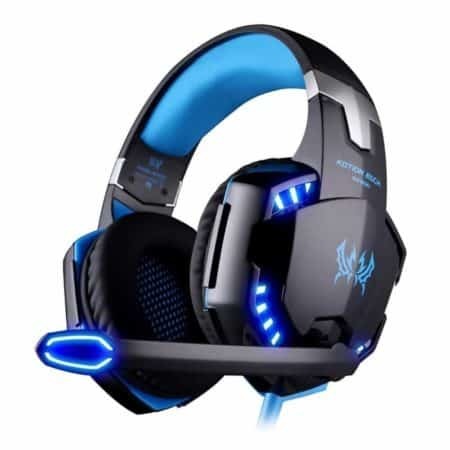 There’s also an inline controller, plus the headset features blue LED lights for a little added cool factor. Lastly, in this category, we have the KOTION EACH B3505. 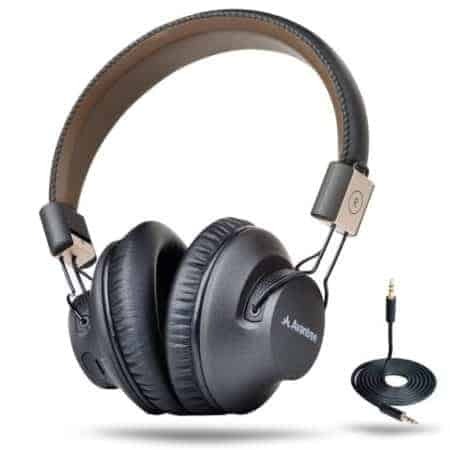 Unlike the others we’ve seen, this headset is wireless and uses Bluetooth to connect to devices. A single charge provides around eight hours of playback, which is decent. Because this headset has an internal NFC chip, you can pair it this way too. There are four control buttons on the left earcup. These let you change the volume as well as skip tracks, so they have applications outside of gaming. The microphone isn’t incredible but it does use noise reduction tech to improve the quality of your chat somewhat. If you really want to up your game, you’ll need to know what’s going on around you at all times. A good surround sound headset can help you do this, and the best part is that you don’t have to break the bank to get one. 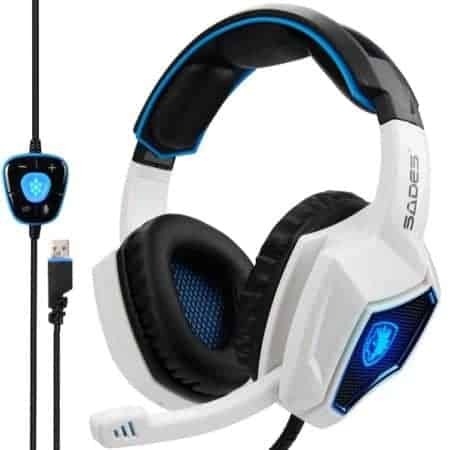 First up we have another headset from SADES – the Sades A60. These have a closed design and are very comfortable to wear thanks to the mesh and padded leather construction. Also, they come with noise canceling tech to help you focus on the task at hand. The microphone can be flipped up and down, plus there’s a nice little inline controller that lets you mute the mic and change both game and voice volume independently of each other. In terms of sound quality, the A60 is one of the best headsets in this price range, with balanced tones across the board. The MSI DS502 is another great product. It has two 40mm drivers to give a little extra oomph to sounds and its environmental reverb tech makes games feel more immersive and realistic. 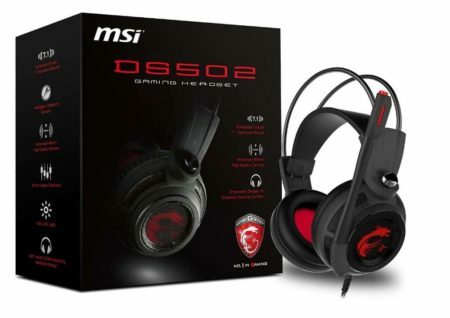 It comes bundled with MSI’s audio software that allows you to customize the sound profile using a ten-band equalizer, although this is only useful for PC users. The DS502 has a few more tricks up its sleeve, though. For instance, this his is a self-adjusting headset. Its headband automatically enlarges when put on and the microphone is a good distance from the user’s mouth which helps prevent breathing noises and distortion. So what’s our last pick? 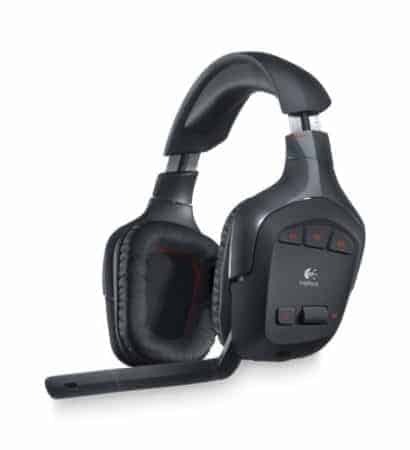 Lastly, we have the Logitech G930. 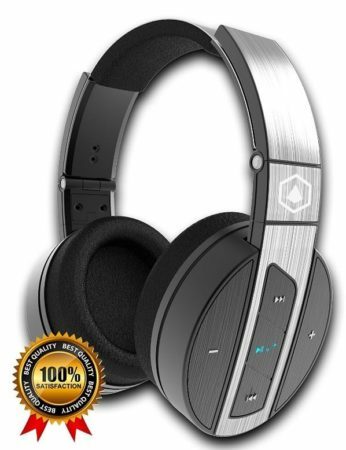 This is a little more expensive, at around $80, but it offers full 7.1 surround sound, a noise canceling mic that mutes itself when flipped up, and three customizable hotkeys on the left earcup. Get this: the G930 is a wireless headset that offers up to ten hours of playback on a single charge, which is not bad at all. It has a memory foam headband for added comfort and can be powered by USB in a pinch. This headset has very sharp high frequencies with decent bass response, too. This makes it a good all-rounder and an excellent choice for listening to music. Microphones are an often underappreciated part of every good gaming headset. 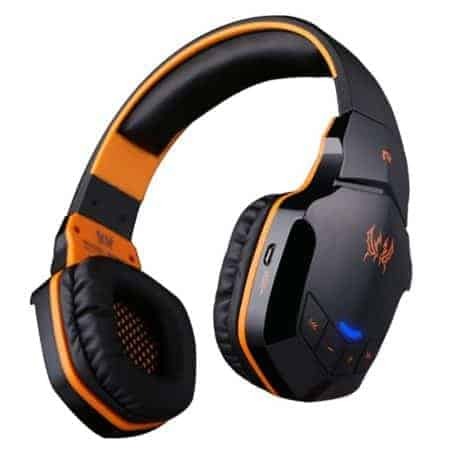 The suggestions below all include a microphone that’s of better than average quality and will let you communicate with none of the distortion typical of low-budget headsets. Firstly, let’s take a look at the Razer Kraken Pro V2. This headset has a 12Hz – 28kHz response, which is wider than normal, but its real centerpiece is the mic. The mic is retractable and can be muted with the inline controls. It isolates your voice and has no distortion, crackling, or feedback so it’s perfect for team-based games where communication is key. It’s no slouch when it comes to sound either. The Kraken’s large 50mm drivers provide booming bass and give the ingame sounds the emphasis that they deserve. This headset is used by many pro gamers, and it’s clear why. 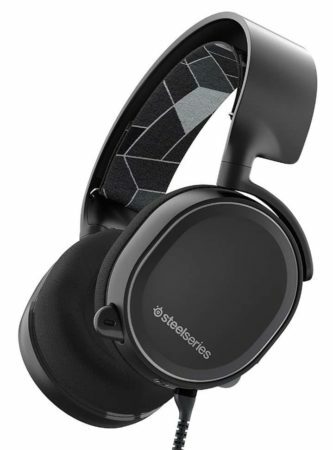 The SteelSeries Siberia V3 is another great choice. Its mic is crystal clear and flexible, although having the mic mute button on the side of the earcup can take some getting used to. This headset does a brilliant job at keeping sound in despite its lightweight frame. It has a bright sound profile that makes music sound fantastic. Live performances come across particularly well, but this obviously applies to ingame sounds as well. The best thing about this headset is that it’s not just for PC the Siberia V3 can be used with any device that has a standard headphones jack. While this headset is intended for gaming, with a sound profile like this, it’d be a shame to not use it for music. There’s a good chance you’ve heard of the final product in this category. The HyperX Cloud II is a headset famous for its professional quality sound, but it actually has a great mic built in as well. Both noise and echo are canceled by the inline sound card, and the 53mm drivers create soundscapes usually only found in much more expensive models. 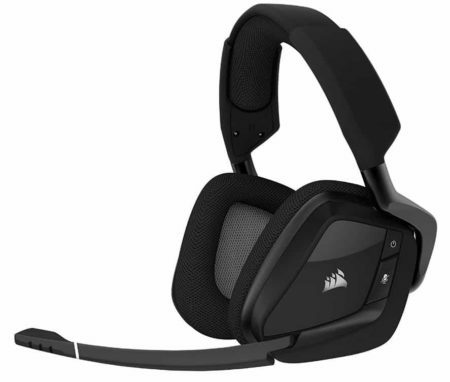 This headset can be used on both PC and consoles, although its 7.1 virtual surround won’t work properly on PS4 or Xbox One. Put it this way: this headset offers stunning audio, a good microphone, memory foam padding, and cross-platform support for less than $100. In short, it’s an absolute steal. Of course, no matter how good your headset sounds, you’re not going to wear it if it’s uncomfortable. For that reason, we’ve found three of the most comfortable headsets of 2019 for you to take a look at. The first of these is the SteelSeries Arctis 5. It has a minimalistic ski goggle-style headband and breathable cushioned earcups for maximum comfort. That said, this is no one trick pony – it sounds great too. Virtual 7.1 surround sound is included for PC users, and there’s a dial that lets you adjust the balance between game and voice audio. 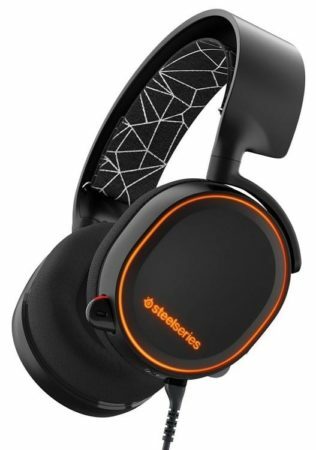 The SteelSeries Arctis 5 has a very well balanced sound and even includes a selection of equalizer presets to choose from. This headset comes in five different colors and the RGB lighting can be customized to match or contrast using SteelSeries’ control software. While this headset sneaks in just under budget, it’s clear why it costs so much. Let’s look at the Sennheiser GSP 300’s next. This model isn’t as attractive as the Arctis but it does a better job at keeping audio contained thanks to its closed back design. The headband is very well cushioned and remains comfortable even after extended periods of use. The GSP 300 has very strong bass performance but doesn’t neglect the higher frequencies either. Games become highly immersive and music is much punchier than with a lower priced headset. While this model costs around $85, it offers most of the functionality that you’d expect for a mid-budget headset, and it does so while leaving enough in the budget for an indie game or two – we call that a win-win scenario. Last but not least, we have the Corsair VOID RGB. This is a plain looking headset that hides its many advantages in plain sight. This headset uses mesh padding to reduce fatigue after long gaming sessions and weighs just under 14 ounces, so it never feels too heavy. 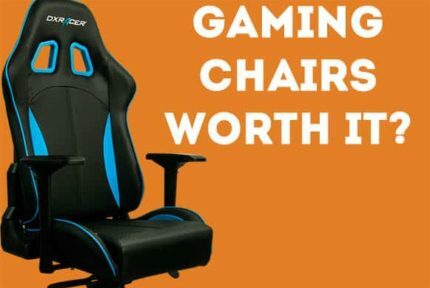 It’s not just comfortable, however, it’s also great for gaming. 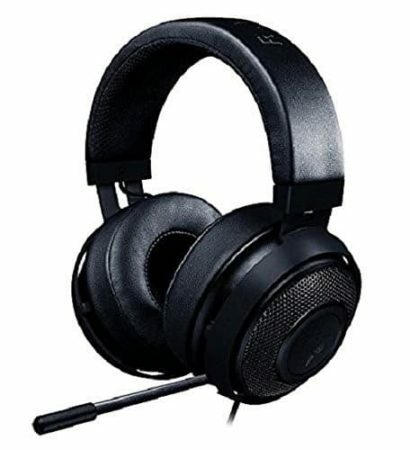 The headset features 50mm drivers and a unidirectional, noise canceling mic to provide a good balance between powerful audio and clear voice chat. This incredible gaming headset is also wireless and provides up to 16 hours of life on a single charge. The RGB lighting can be customized or set to change dynamically. This breathes a bit of life into an otherwise boring design. Don’t get us wrong though: this headset can compete with the best of them and the plain look may suit mature gamers better than the obnoxious red and black color scheme that seems so prevalent in this market. Most of the products above are aimed primarily at PC users, with console gamers consigned to the background. However, it is possible to find a high-quality headset for consoles, and the three below are proof of this. We’ll begin with the SteelSeries Arctis 3. 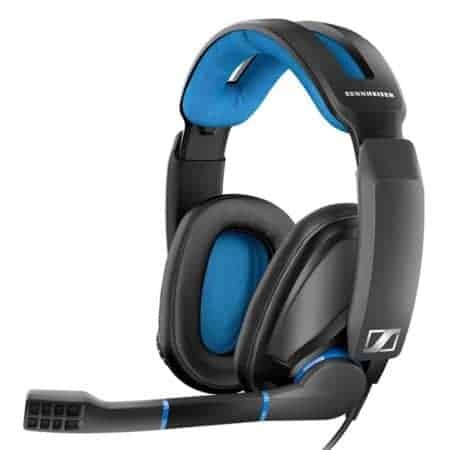 This headset is a cut above the rest because it provides virtual surround sound to users on all current generation consoles. It also features the ultra-comfortable ski-goggle strap that the Arctis series is known for. This headset doesn’t have a USB connection. This means that it’s compatible with a far larger range of devices but does make changing the sound settings on PC a little more difficult. Enough technical stuff, how does it sound? On consoles, you can’t access the equalizer but despite this, it still sounds great. The Arctis 3 has a particularly strong mid-range, although that’s not to say the lows and highs are neglected. You probably think that $50 won’t get you much in terms of quality, right? 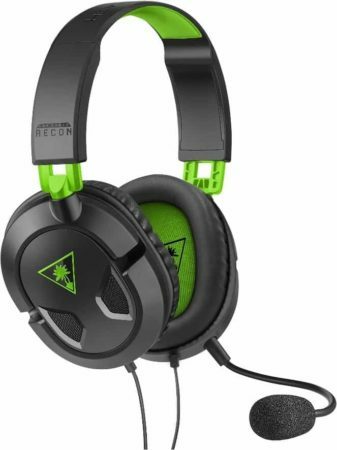 Well, the Turtle Beach Ear Force Recon 50X proves this isn’t the case. How? Read on to find out. 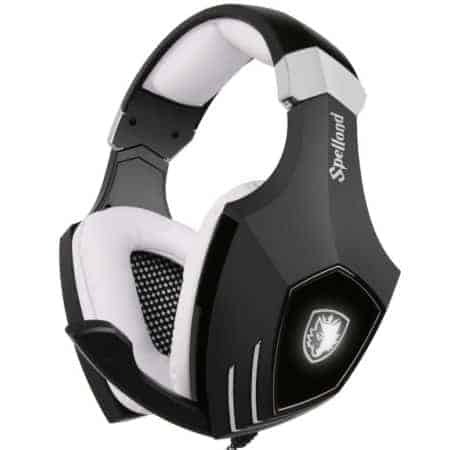 It features a removable mic and ultra-lightweight design to reduce the strain on your neck during gaming marathons. Further, it works on PC, Xbox One, and PS4 so no matter which side of the console war you’re on, it’ll work. The 40mm speakers provide powerful bass and a nice, sharp treble that’s perfect for gaming. Every explosion and voice line is given an energy that your standard headphones can’t hope to match, and it really helps you feel like part of the game. The ASTRO Gaming A40 TR is another excellent choice thanks to its high level of customizability. The mic can be switched to whichever side you prefer, and you can even change the earcups for something a bit flashier than the standard black covers. So what else is good? The sound profile on this headset has been fine-tuned by sound engineers, and it shows. It has a wide soundstage that highlights some of the sounds you might not have picked up on before and gives everything a real sense of presence. 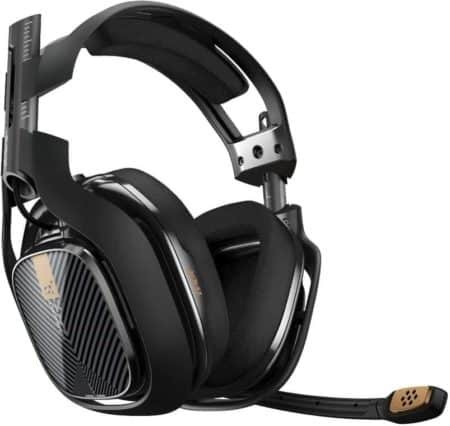 This headset also has the widest frequency response of the three in this category. It’s a small difference, and probably not noticeable, but one worth bearing in mind before you buy. Have you ever been gaming and gotten your wires tangled? There’s that moment of frustration that’s only compounded by the fact that in a tight game, every second counts. The headsets below are wireless and can help you guarantee that this problem never bothers you again. 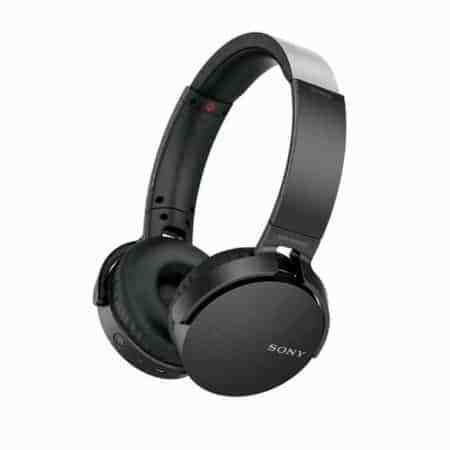 The Sony MDRXB650BT might not have the coolest name, but they perform very well indeed. All too often wireless headsets sacrifice audio quality for convenience, but this headset manages to provide both. Music is bright and vibrant with punchy vocals and a decent amount of bass, plus the internal NFC chip makes pairing this headset as simple as tapping your device on the right earcup. These have a simple yet sturdy design that allows them to avoid breaking when dropped or twisted (within reason, of course). The headband could use a little more padding but other than that, we have no real complaints. We’ve made it to our penultimate recommendation, the Avantree Audition Pro. This headset has a very low latency and a battery that lasts up to 40 hours – an incredible length of time that’s unparalleled in this price range. Like the Sony headset, this one features an NFC chip, but it can also be paired with two devices at once and has nice leather padding on the headband for added comfort. They come with a built-in bass boost feature. While this might overwhelm your game’s audio, it works great for music and really helps add emphasis to bass-heavy tracks. Essentially this model offers as close to audiophile level quality as you’ll get without increasing your budget considerably. Finally, let’s talk about the Modern Portable ELITE Super66. This sleek metallic headset has side-mounted controls and offers gaming performance that will leave you shocked. Even at high volumes, there’s no distortion. Audio is clean and crisp, and you’d be forgiven for thinking this product is more expensive than its low price tag would suggest. It can be used wirelessly or with the included aux cable. This means that you can use it on all of the current consoles, plus your PC and even your cell phone if you’d like. It strikes a balance between providing excellent audio quality and versatility. Better still, it’s comfortable even after hours of use. 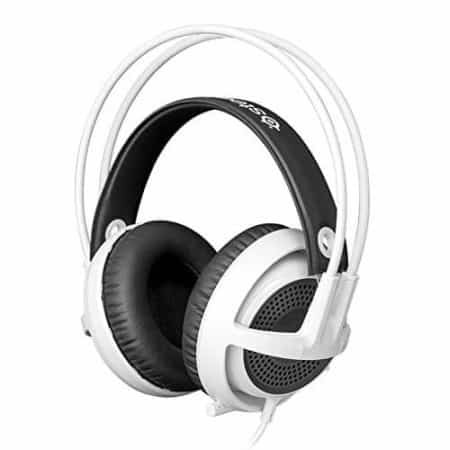 It comes with a thin yet comfy layer of foam padding on the earcups and headband – it isn’t much, but it makes a massive difference in terms of comfort. For under $70, there are few headsets that can rival this one.